NAB chief executive Andrew Thorburn and chairman Ken Henry have announced that they will be stepping down from their roles. 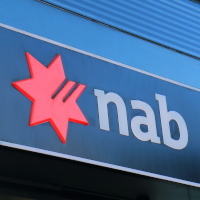 In a statement to the ASX, Mr Thorburn will finish at NAB on 28 February, while Dr Henry indicated that he would retire from the board once a new permanent chief executive had been appointed. In addition, it has asked director Philip Chronican to serve as acting chief executive effective 1 March until an appointment is made. Mr Chronican said he was privileged to have been asked to step in as acting chief executive while the board selected a new chief executive.